Footasylum January Sale is now on across both men and womens shoes and accessories! 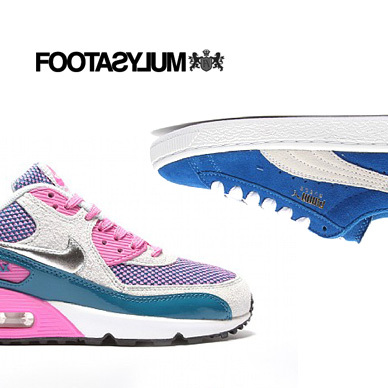 Footasylum is a one-stop shop for the latest footwear trends. Founded in 2005, the firm is well established on the high street with over 30 stores, and now offers its products globally online. At Footasylum you will find all the latest sports and fashion brands needed to keep you one step ahead of the game, including Adidas, Converse, Nike, Fred Perry, New Balance and Onitsuka Tiger. The site is about much more than stylish footwear, though. It also has a wide and affordable range of t-shirts, polo shirts, jeans, knitwear and coats for all the family and offers a good discount to students. Add Footasylum to your Favourites list and be the first to know every time they have a Sale on! 1st January 2018 - Footasylum New Years Day sales for 2018. 7th May 2018 - Footasylum Early May Bank Holiday sales for 2018, add to your diary now! July 2018 - Footasylum Summer 2018 sales, joining us? 23rd November 2018 - Footasylum Black Friday sales in 2018 start on Friday 24th November. Add products from Footasylum to your Love Sales list. Get the Love Sales button now! Footasylum Boxing day Sale is now on across both men and womens shoes and accessories! Footasylum Christmas Sale is now on across both men and womens shoes and accessories! Footasylum Cyber Monday Event is now on with us to half price savings across all jackets! Its perfect for the colder weather! Footasylum Black Friday Event is now on with us to half price savings across all jackets! Its perfect for the colder weather!